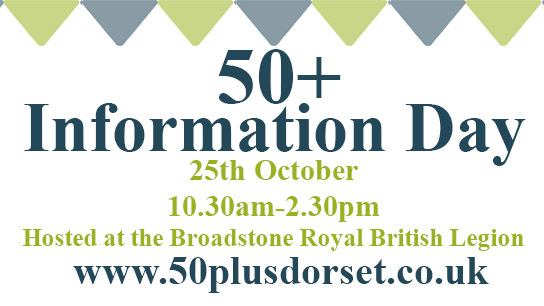 A 50-plus information day with dozens of diverse exhibitors from the world of sport through to financial planning experts is being held in Broadstone. The event at the Royal British Legion on Tuesday 25 October is family-friendly and open to all. It is being organised by Douch Family Funeral Directors – whose Lesley Shand branch is in nearby Corfe Mullen – and in partnership with POPP (Partnership with Older People Programme). All are welcome between 10.30am-2.30pm during the day, which is in the school’s half term holiday. Emma Regan from Douch Family Funeral Directors, said: “There are a host of things targeted at the over 50s and we’re bringing them together under one roof. “Everyone is invited to the event and we’ll have things to keep any children occupied. “We are having cooking demonstrations, knitting demos, and there will be information about social care and crime prevention. “We’ll have sports equipment to try including ‘Good Vibrations’ exercise machines. 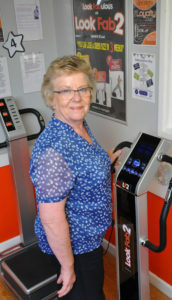 These operate at The Junction in Broadstone and have many health benefits. “For those with mobility issues there will be scooter demonstrations from ‘The Mobility Shop’, now open in Wimborne as well as their established shops in West Moors, Parkstone and Lymington.